In Mexico, the public transportation system is very good. In fact, in many areas, it is excellent. The sources of transportation include the bus companies listed in the chart below, collectivos (mini-vans that hold up to 20 people), and taxis. All of the sources of transportation are reasonably priced and can, singly, or in tandem, get you from where you are to almost anywhere you want to go. If you are traveling long distances, the ADO bus system is safe, clean, comfortable, air-conditioned, and efficient. You need to purchase your tickets at the bus stations, which are also clean and safe, and have food stations to purchase drinks and snacks. Be prepared to communicate in Spanish! Some clerks speak English, but most do not, so do not count on someone speaking English. The same is true with the bus drivers. You may get one that speaks English, but do NOT count on it. If you need to, write down your destination before you get to the bus station so can “show” the clerks where you want to go. Long-distance ticket prices are very reasonable. The only thing the bus companies ask is that you be at the bus station 1/2 hour before the bus is scheduled to leave. If you are going to be on the bus for an extended period of time (the buses do stop for restroom and snack breaks), it’s a good idea to bring a sweater with you as they are kept very cool. If you have a time constraint with your travel, and will be needing to be transfer buses, you should give yourself an extra day or two for travel. ADO buses may only leave for certain destinations one time a day, so if you are planning on traveling a long distance, and hopping from one bus to the next, it’s possible that your connecting bus may not leave until the next day, requiring an overnight stay in a hotel. The key to traveling long distances in Mexico is planning and adding in extra days of travel time. Map out your entire itinerary so that you know where you’ll be connecting and how long you’ll wait between connections. Then figure what kind of time-frame, it will take to make it all the way through. Another source of public transportation are “collectivos.” A collectivo is a small bus, similar to a mini-van. The collectivo’s are usually clean, fast and very reasonably priced. On occasion, they may be old and cranky, but they will get you there. This is the least expensive way to get around from town to town. To catch a collectivo, you need to get to a main highway either by walking or cab. The collectivos travel along major highways and stop at designated stops in some areas, and in others wherever they see a traveler at the side of the road. The collectivos do not venture off of the main highways for door to door service. 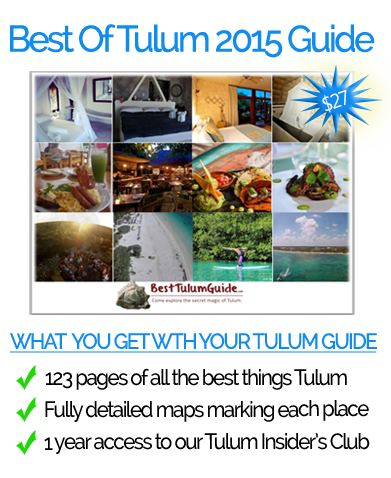 For example, if you are traveling from Cancun to Playa Del Carmen, and your actual destination is a few blocks off the highway, they will drop you on the highway and you will need to walk or take a taxi to your final destination. If you are carrying heavy bags, this can be an inconvenience, but worst case scenario is you pay a little extra for the taxi. The collectivos run on a regular schedule depending are where you are – every 10 minutes to every hour. They begin running early in the morning, 6:00 am, and in some areas, run until 10:00 at night. The fee is very low. 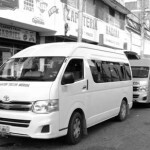 For instance, to get from Tulum to the middle of Playa Del Carmen, the cost is $35.00 pesos per person, or only $3.00 US, one way. In the Progreso Corridor, to travel from Chicxulub into Progreso, the price is about $6.00 pesos. The collectivos, with few rather comical exceptions, are safe, clean and consistent. The drivers may speak English, or may not, so be prepared to ask the driver to let you off, or to tell him your destination in Spanish. The last source of public transportation are the taxis. 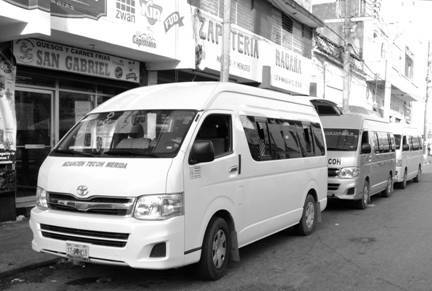 Taxis are ubiquitous in Mexico, so you will not need to wait long, or go far to find one. Taxis, for the most part, are safe and clean, and many drivers speak English well enough to understand where you want to go. None of the taxis have meters in them, so the prices can be subjective. A good practice is to tell the driver your destination and ask “How much?” up front. The advantage that taxis have is the ability to take you portal to portal. With all modes of transportation, always be careful to check your seats before you get out to make sure that you have everything. If you leave something on the bus, the collectivo or a taxi, the chances of you recovering it are somewhere between slim and none. Reporting missing items to authorities is generally futile. It is something you should do (just in case a miracle happens), but be prepared to never get your missing item back. All transportation types are safe in regard to your personal safety, however, theft of your backpack, purse or wallet is possible, so keep them close to you. Theft is not so prevalent that you need to be afraid of it, but it is simply prudent to keep an eye on your personal belongings. In Mexico, it is very possible to live without a car. 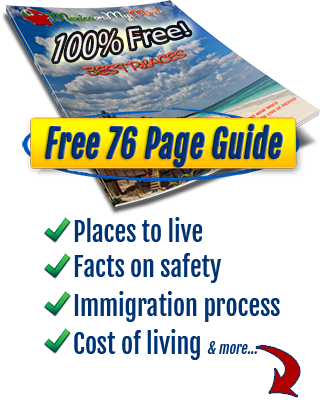 The public transportation system is very easy to use, reliable, safe and very reasonably priced.